China Heritage is a continuation and expansion of the China Heritage Project established by Geremie R. Barmé in 2005 and the e-journal China Heritage Quarterly, which appeared under the auspices of that project from 2005 until 2012. China Heritage Annual is a New Series that revives China Heritage Quarterly, which went into abeyance in 2012. The first issue of the Annual, guest edited with William Sima and the assistance of Yayun Zhu 朱亞運, focusses on Nanking 南京. It was launched at the Shanghai International Literary Festival on 14 March 2017. Future issues of the Annual will cover such topics as: ‘Hong Kong, The Best China’, ‘Translated China’, ‘Fakes, Phonies, Forgeries, Facsimiles and Follies’, ‘Chinese Food: A World in Five Flavours’ and the city of Changchun 長春. 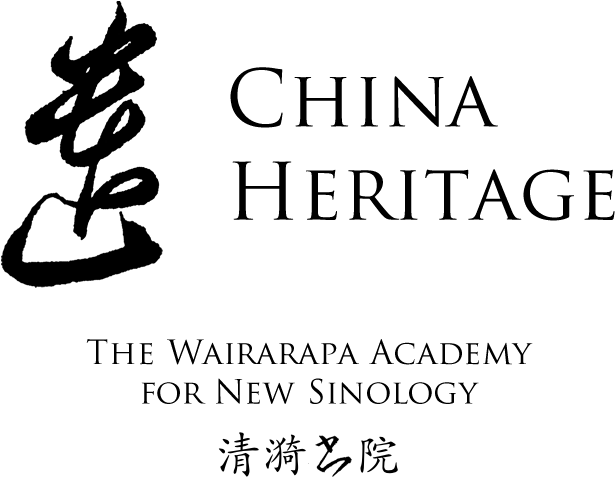 A New Sinology Reader develops the ideas first proposed by Geremie R. Barmé with the founding of the China Heritage Project, and which informed the creation of the Australian Centre on China in the World. The Reader will feature guided readings in New Sinology. The Story of the Stone site, edited by John Minford, will offer a historically informed guide to China’s most famous novel, also known as The Dream of the Red Chamber 紅樓夢. The origins of China Heritage go back to 1980 when Geremie and John first encountered each other at The Australian National University (ANU) in Canberra. John was completing his doctoral research on (and translation of) the last forty chapters of The Story of the Stone under the supervision of Professor Liu Ts’un-yan 柳存仁, while Geremie was back at ANU to take part in an intensive Japanese language course after a six-year absence studying in the People’s Republic of China and working in Hong Kong. They met at a seminar given by visiting translators and writers from China, including Geremie’s Beijing friends Yang Hsien-yi 楊憲益 and Gladys Yang. It was on that occasion that the Yangs encountered the writer Pierre Ryckmans (Simon Leys), Geremie’s Chinese teacher and future PhD supervisor. Thereafter, John and family moved to Tianjin where John worked as a ‘foreign expert’ at the Tianjin Foreign Languages Institute and, at the end of 1980, Geremie went to Japan to continue his studies. In 1983, by which time John had been invited by Stephen Soong 宋淇, an old friend of Professor Liu’s, to become the Director of the Translation Research Centre at Chinese University of Hong Kong and editor of Renditions 譯叢, they collaborated on a special issue of Renditions dedicated to contemporary Chinese literature and what they would dub the ‘Chinese commonwealth’ (not dissimilar from the philosopher Tu Wei-ming’s 杜維明 concept of ‘Cultural China’ 文化中國). That issue of the journal, designed by John, was called Trees on the Mountain, a title inspired by Hexagram LIII of the I Ching, ‘Gradual’ Jian 漸, made up of two trigrams representing Wind and Wood on the Mountain (艮為山，巽為木; see John Minford, I Ching, 2014, p.414). In 1985-1986, John invited Geremie to join him in editing Seeds of Fire: Chinese Voices of Conscience, a volume of translations and essays published by Far Eastern Economic Review that reflected the cultural maelstrom of 1980s’ China, including Hong Kong and Taiwan. Following the repression of student demonstrations in late 1986 and the purge of ‘bourgeois liberalism’ in early 1987, a revised and expanded edition of the book was published by in New York by Hill & Wang. After the 4 June 1989 Beijing Massacre, John and Geremie were invited by their US publisher to produce a new book, which they called New Ghosts, Old Dreams: Chinese Rebel Voices. That volume was completed by Geremie and Linda Jaivin and published in 1992. Those three volumes — Trees on the Mountain, Seeds of Fire and New Ghosts, Old Dreams — along with lives spent pursuing research, teaching, writing and translation work all contributed to the founding of the China Heritage Project in 2005 and the creatio, in 2016, of China Heritage. China Heritage advocates a New Sinology 後漢學. This is an approach to the Chinese and Sinophone world that builds on traditional Sinological strengths while emphasising a learned engagement with the complex and shifting realities of contemporary China, and the Chinese commonwealth (Hong Kong, Taiwan, the People’s Republic and the global Sinosphere). In 2010, the ideas motivating New Sinology were behind the foundation of The Australian Centre on China in the World 中華全球研究中心 at The Australian National University by then Prime Minister Kevin Rudd with Geremie R Barmé, and with the support of the university’s vice-chancellor, Ian Chubb. It also informed the Centre’s research agenda and The China Story Project, the practical application of New Sinology to the study of things Chinese. A Chinese version of this site offers a précis of its contents and attempts to extend our efforts, and our linguistic style and approach to readers of Chinese. 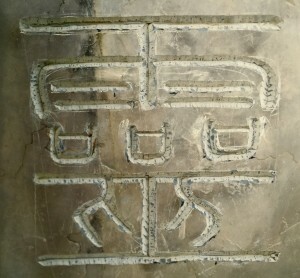 The site uses ‘traditional’ or non-simplified Chinese orthography. For more on this, refer to the Style Guide under Submissions in the Journal section of the site.